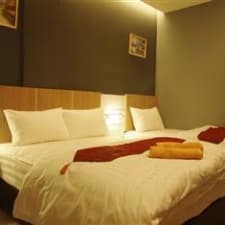 Nestled in the heart of Bandar Sunway, this budget-friendly hotel is the ideal spot from which one can discover Kuala Lumpur. Its guests will enjoy easy access to all that the lively city has to offer and they will be at only a 10-minute walk from the Sunway Lagoon and within the same distance from a number of excellent eating options. Those who are looking to spark their trip with a small shopping spree will be at a 20-minute drive from the Subang Parade mall. After a busy day of sightseeing guests of the venue can head back to their comfortable rooms and relax with a movie or browse the internet and put a plan for an amazing night out.